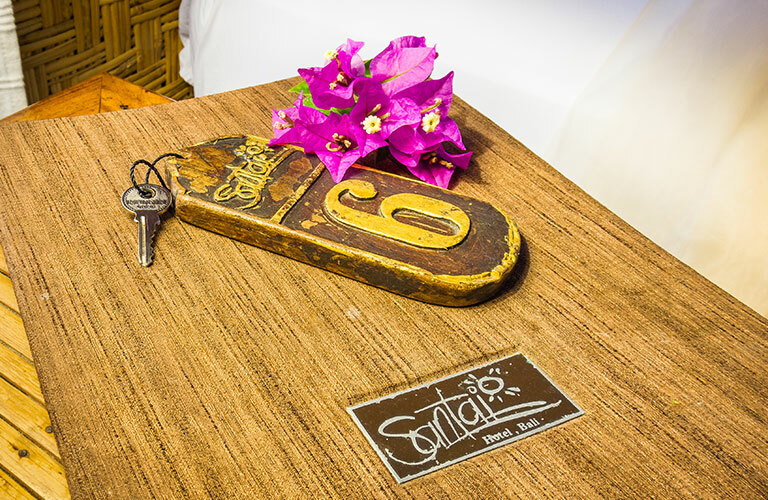 Santai offers two types of authentic Toraja-style (from Sulawesi in North Indonesia) wooden cottages or bungalows. 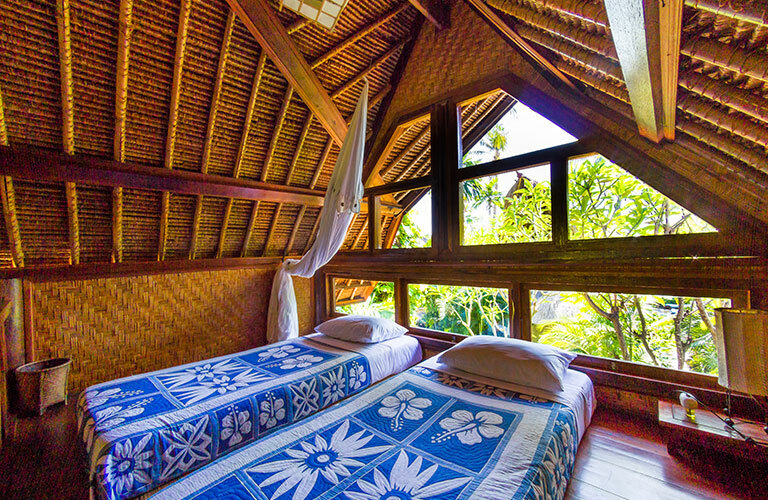 Each bungalow stands on sturdy wooden pilars and are topped with a layered straw roof (called alang-alang here in Bali) and shaped in the characteristic sweeping curved arc. Unlike our Ocean View Bungalows, Garden View Bungalows (3) don’t offer ocean view. Instead, they are located right behind them and offer a more intimate garden atmosphere. 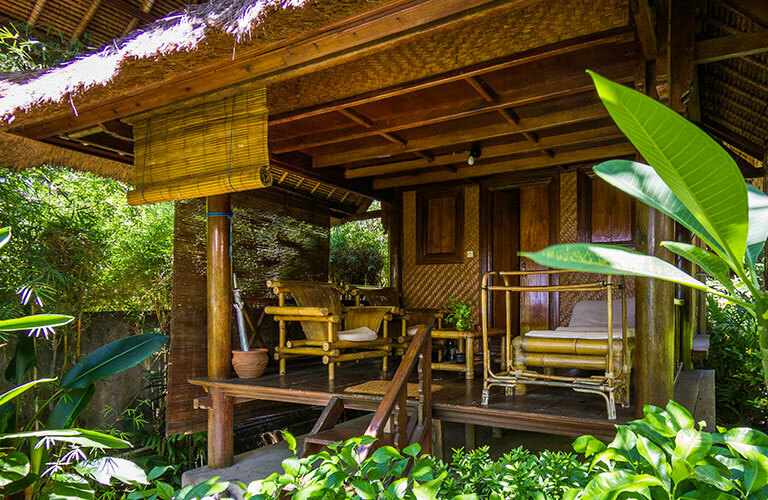 This bungalows too offer a spacious patio where comfy bamboo sofas and a daybed. This is also where our Restaurant Staff will come and place your morning coffee and tea tray for you to enjoy peacefully as you awaken… Start your day in the most relaxed way, overlooking glimmering Bali Sea. Bunutan is still very much a fishermen’s village and so left and right of our beach, you’ll witness the early morning activity of numerous fisherman returning from their morning catch on their typical “jukung” or bamboo outrigger. 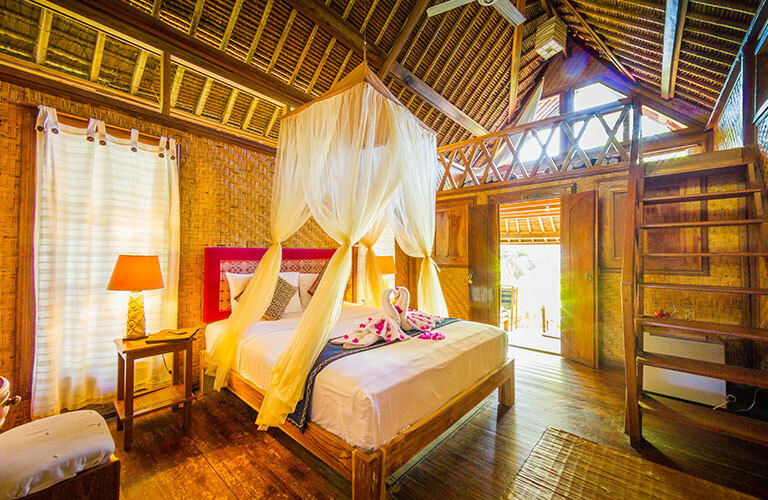 Open the typical Balinese doubled door and enter a large open space adorned by the high bamboo ceiling. Our adult guests typically opt for the comfortable Double Queen Size bed on the ground floor. 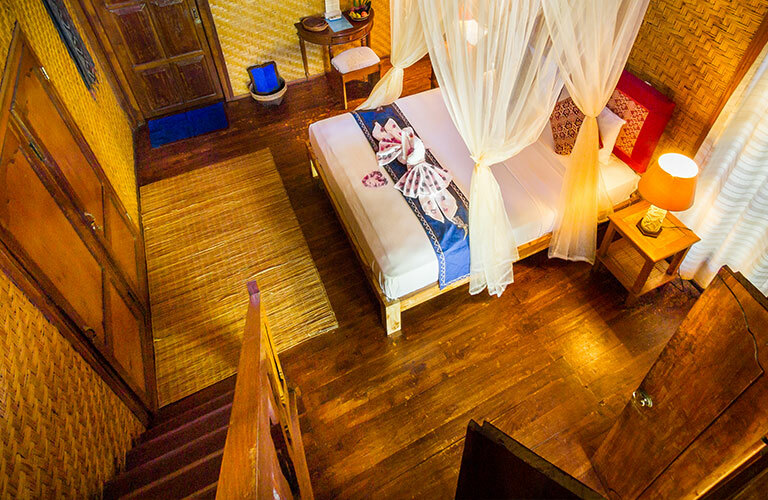 Wooden open stairs lead to the mezzanine with two single or one double mattress(es). Kids typically love to sleep up there, where they can peak into the garden/pool and look out to the ocean without being seen. 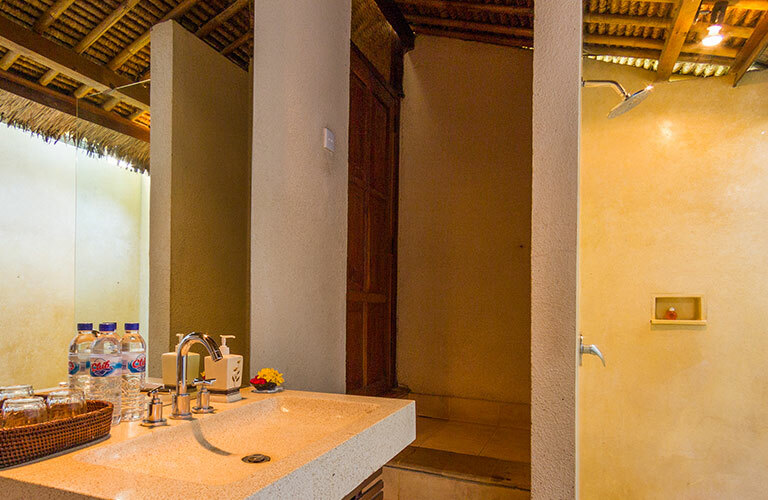 Behind the main room is also the open-air bathroom with shower. 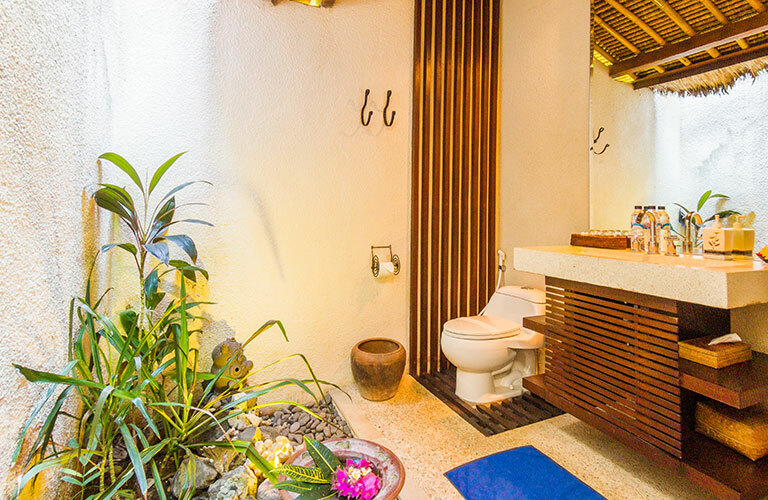 Each Ocean View Bungalow can accommodate a maximum of four guests.